While it’s widely known that the new Cross Insurance Center is one of the anchors of Bangor’s growing entertainment district, did you know that the property where the arena sits is also the site of one of the Queen City’s first entertainment venues? In 1849 harness racing debuted just outside of the city’s downtown in a place known as Maplewood Park. Bangor residents flocked to the races, walking along maple-tree lined Catell and March streets, past the Maplewood Hotel to the park’s entrance. It was those towering trees that gave the park and hotel their names. Maplewood’s use increased in 1883 when former Mayor (1873) and publisher of the Bangor Daily Commercial Joseph Bass, Flavius Beal, the current Mayor, and Ezra Sterns saw an opportunity to promote the region’s vast agricultural resources with a larger event. It was that thinking that gave birth to the Eastern Maine State Fair. Agricultural fairs had been held around the region for a number of years but none were to the scale of Bass, Beal and Sterns’ Eastern Maine State Fair. A success from the start, the event would become the Bangor State Fair. In 2015, the Fair celebrated its 132nd anniversary on the same site. The 1883 introduction of the Fair also brought the construction of Maplewood’s first grandstand—increasing viewing options for racing enthusiasts. 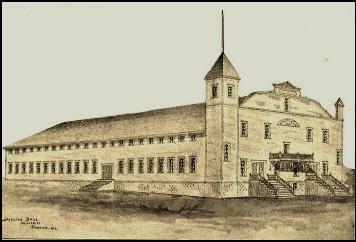 That grandstand would burn in 1897, but determined Bangorians built a new one in its place the following year. sole owner four years earlier, brought a popular, world-class stallion to the park to race. On his first visit, “Nelson” established Bangor as the home of the world record mile time on a half-mile track. And, in the course of three years, he would help the track to become known as one of the fastest half-mile tracks in New England, if not the country. In 1892, a second horse, “Bunco, Jr.”, beat “Nelson’s” time by half a second but “Nelson” returned. 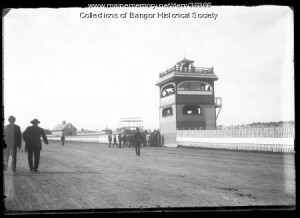 His last run at Bangor, in 1893, was a full three minutes faster than his 1890 time. While Maplewood enjoyed great popularity as a racing venue, it was also home to the Maine Music Festival, which came to the site in 1897. A new, 175-foot by 82-foot building, the Maine Music Festival Auditorium would host the three-day music festival featuring more than 800 performers from across the state. 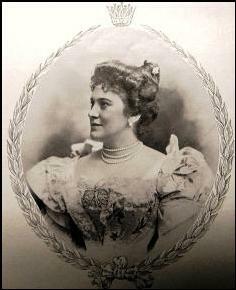 Famed opera singer and Farmington native Lillian Nordica performed at the event’s opening. Maplewood Park continued to make headlines for the city when in 1909 it became home to Bangor’s first airplane flight. A plane had been shipped by train and was assembled in the Queen City before taking off and landing from Maplewood’s racetrack. Maplewood would grow in 1919 when Bass died and deeded it along with an adjacent plot of land on Buck Street to the City as “a place of public recreation.” The site would eventually be renamed “Bass Park” in his honor. In 1934, the City renovated Maplewood adding tennis courts, football and baseball fields, playgrounds and more. The 1898 grandstand suffered the same fate as its predecessor when, in 1947, arsonists destroyed it. The City responded with the construction of a larger concrete grandstand soon after. Maplewood Park, or Bass Park, is an example of how sometimes, the more things change, the more they stay the same. A site that began a place for horse racing, sporting events and music may look different today, but its use and popularity among Bangor’s residents and others in the region remains the same. This “Bangorism” is brought to you through a partnership with Tricia Quirk Real Estate and the Bangor Historical Society. This entry was posted in Bangor History, Bangorism and tagged Bangor, Bangor Auditorium, Bass Park, Maine Music Festival, Maplewood Park. Bookmark the permalink.